CDRM is best described as a degenerative disease leading to muscle wasting of the hind limbs. 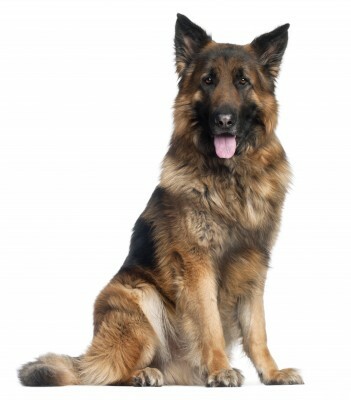 It usually (but not exclusively) affects the German Shepherd and Golden Retriever breeds. The classic symptoms are a painless, slowly progressive rear limb weakness or paralysis caused by neurological degeneration. Over a period of time a dog suffering with CDRM will become progressively weaker. The rear limbs begin to lack co-ordination and may start to shuffle along. Classic early symptoms are wear and tear on the claws of either or both hind paws and knuckling of the paws. In the final stages full paralysis is likely to occur coupled with incontinence. However, in recent years, there have been advances in the treatment and care of dogs with CDRM and as a result they are living longer and more comfortable lives. Exercise is one of the main factors in managing a dog with CDRM. Regular exercise is extremely important in maintaining the well-being of the affected dog, maximising muscle tone and maintaining good circulation. This is best achieved by regular exercise on alternate days, in conjunction with days of rest. Consistent, controlled building of muscle tone through exercise can help delay the progression of the symptoms of CDRM. Hydrotherapy is an ideal form of non-weight-bearing exercise which helps to maintain muscle bulk for as long as possible and to improve general fitness and enhance quality of life. Dogs that need to be carried or supported on land really enjoy the freedom of a pool. Movement of all four limbs in water and the ability to play are vital ingredients for maintaining co-ordination and balance.